Five Planners for 2019! - Drizzle Me Skinny!Drizzle Me Skinny! About two years ago, my boyfriend and I hopped in the car to drive from sunny Orange County to the busy streets of Los Angeles to meet and have dinner with one of my Instagram friends who happened to be a popular food blogger. The only thing I was good at making were reservations. I didn’t tell her this, but we loathe driving to L.A. There are few people I would battle that traffic for, but she was one of them. We had a great time at dinner; three hours went by in a flash. Fast forward two years and I’m now married to that sweet guy who meets strangers from the internet with me and we traded in the California beaches for the Texas countryside. And that food blogger I met? I somehow managed to become a content creator on her blog! I’m so excited to be working closely with Kate on this new venture and get to know all of you, her loyal followers. Please feel free to comment on this post with anything you’d like to see, or catch up with me on Instagram at @rachyxo. May 2019 be your best year yet! It’s the most wonderful time of the year…or is it?! As if shopping for gifts, cleaning the house for guests, standing in line to get a picture of your kid screaming on Santa’s lap, addressing holiday cards, and prepping your food for the family gathering wasn’t enough, you’re supposed to be making New Years’ resolutions too! This is a goal crusher’s dream planner! There are weekly and monthly layouts, but also 30-day challenge trackers for any habit you wish to start. Trying to walk more? Drink more water? 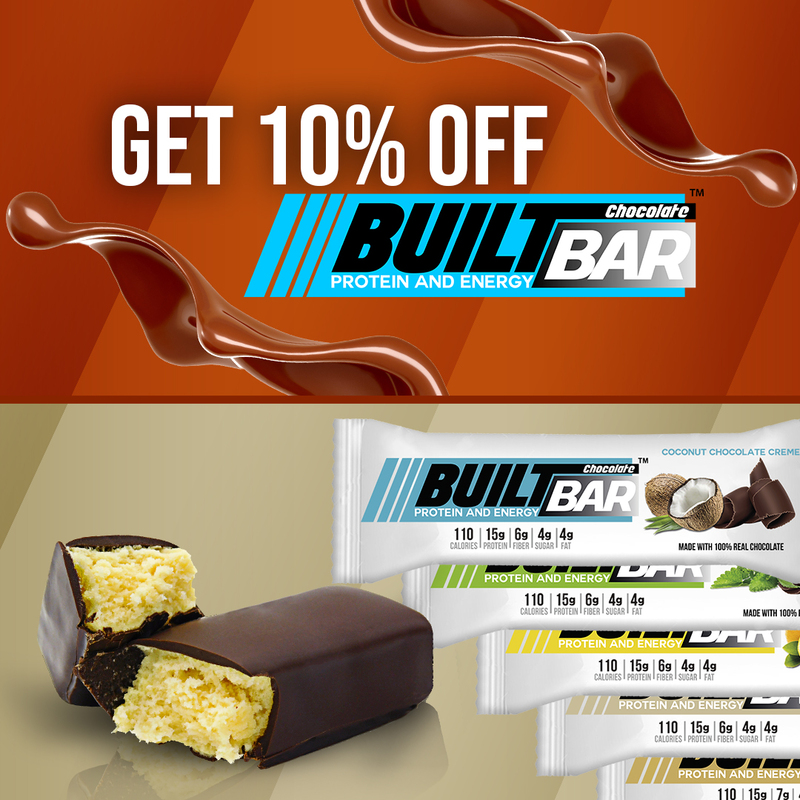 Have a month of no eating out? Crate a plan and visually see your success with this planner! This planner just came on my radar as a suggestion from a friend, but apparently it’s been around for a while! They are celebrating their ten year anniversary this year, and Emily Ley has authored a few books. Personally, this is my favorite planner! 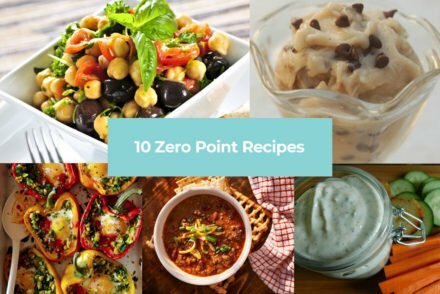 Whether you choose the weekly or daily spread, there is a separate spot for your meal planning! However, you can use this spot for anything such as workouts, number of steps, points used (if you’re a WW), or whatever goal you choose. I love the bright color options on this planner- you can’t pick a bad one! Of course this planner was going to be on the list—this is one of the faves each year, and rightfully so. 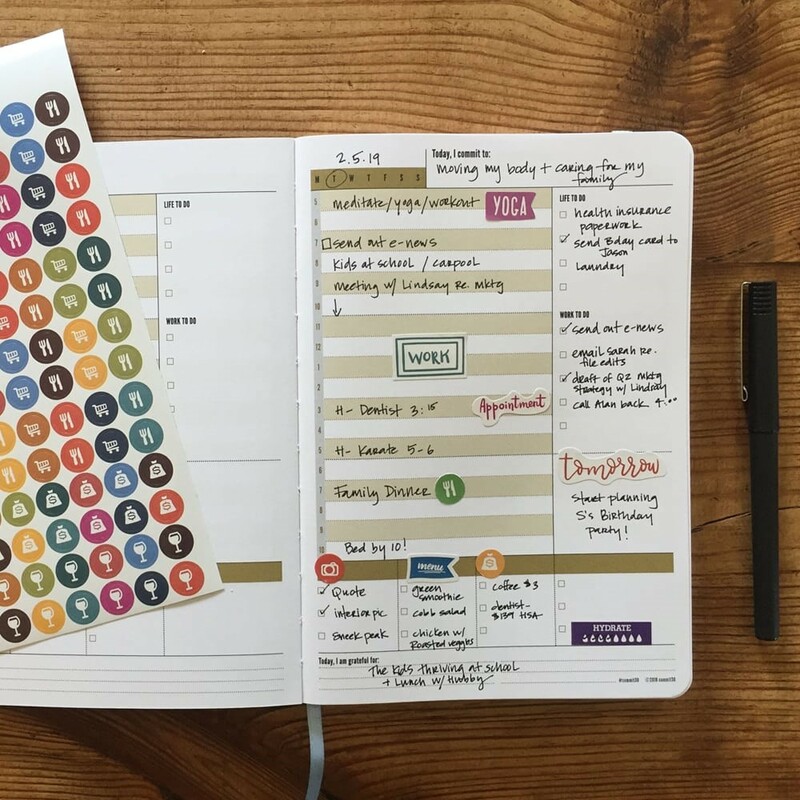 Erin Condren is a planner genius and has created such a fun approach to mapping out your year. This planner is bright and colorful and has spaces for all kinds of creativity and whimsy. 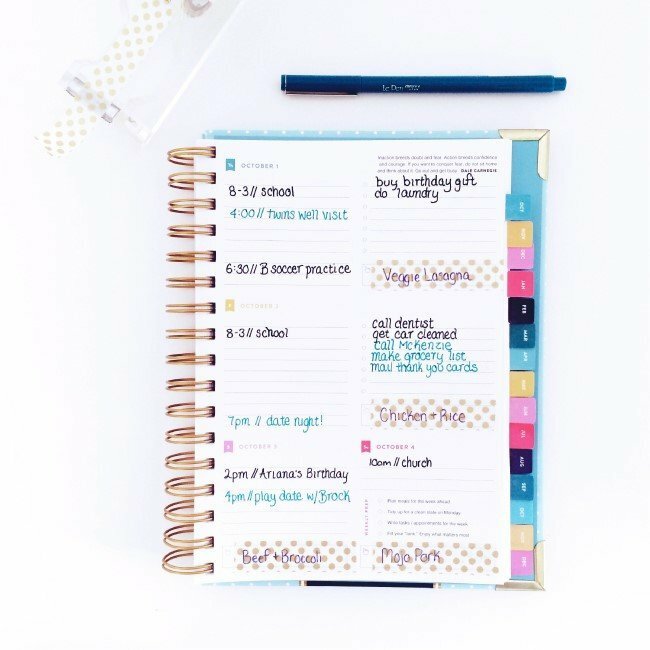 With plenty of sticker and accessory options, there is no end to how you can personalize this planner. I have seen some that look like scrapbooks- a fun work of art to keep and reminisce on later! 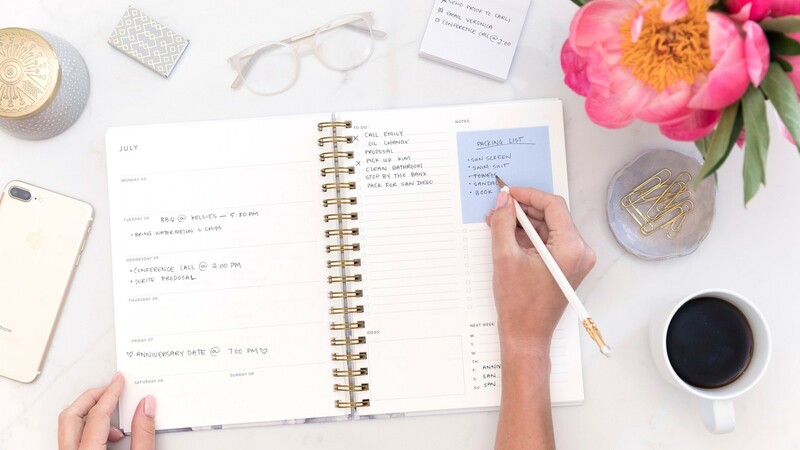 There is tons of room for meal planning or tracking workouts if you’re trying to make 2019 your healthiest yet! If you haven’t heard of Golden Coil, you must have way different social media ads than I do! Each time I opened Facebook or Instagram, I was hit with an ad for Golden Coil. Eventually I took it as a sign that I had to check it out. 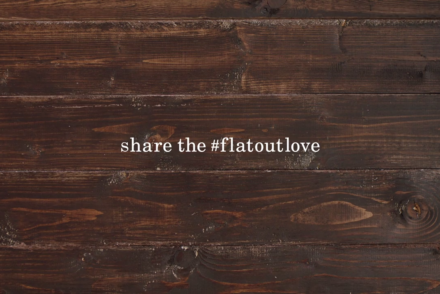 It turns out, this is a new company who got their start through a Kickstarter campaign. After browsing their site, I was pretty tempted to step on board because you can personalize what pages go into this planner! No more excess pages that you’re not going to use, or wishing you had more note pages. You can add as you please! 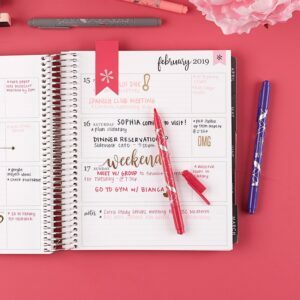 As someone who takes her planner everywhere, I prefer a planner without coils which is why I didn’t bite the bullet and make this planner my 2019 choice. However, for those who don’t mind a coil, I think you will be pleasantly surprised with this breakout company. Add on pages to track all your goals whether it’s getting out of debt, being more organized at home, or getting fit. 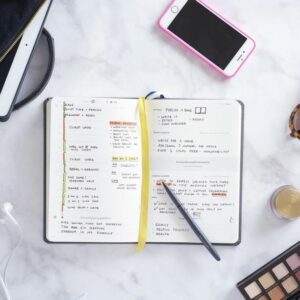 This is the most affordable of the planners and for those who like to jot notes and keep their planners as keepsakes, this is a great option. Bonus: it’s available on Amazon (helllooo, 2-day shipping!). 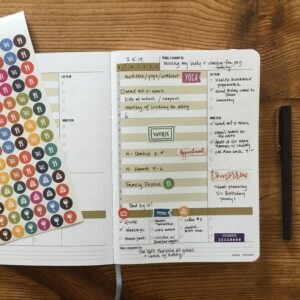 This planner lets you track big goals while also giving you smaller spaces for daily goals, gives you space for reflection and a spot for weekly priorities. 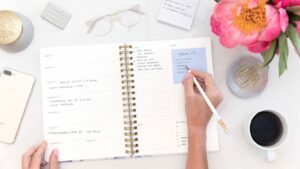 This planner is very simple in style and perfect for accomplishing all your goals. And what is a planner without amazing pens to go with it? Here are three of my favorites, also available on Amazon! Whatever planner you choose, may your 2019 be filled with lots of love and joy. Cheers to a clean slate and a fresh new year! 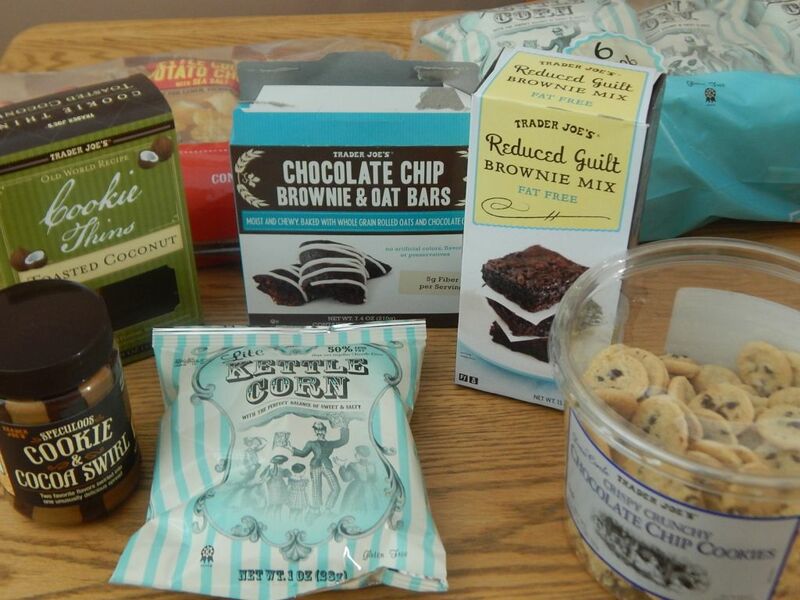 My Trader Joes must haves!